Our client wanted no pigeons nesting and roosting on this tenth floor plant room. 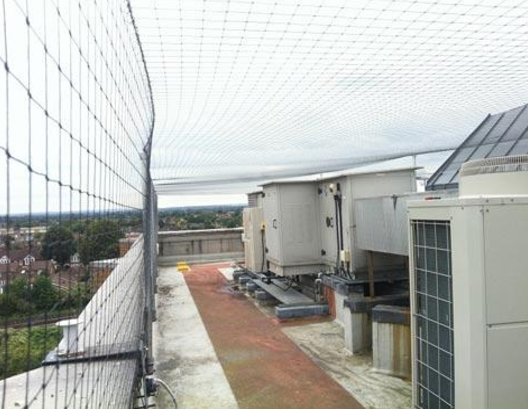 Thirty 50mm steel posts have been installed around the parapet wall with a system of wire tensioned to support the 50mm polypropylene pigeon netting. Biocide disinfectants were applied to all contaminated areas where pigeon where nesting, and debris removed. Weighted steel trays and the intermediate support preventing the wires from sagging.